The city of Spokane hopes to ease pressure on the House of Charity by opening a second shelter as soon as this winter. About a year into the second attempt at keeping a homeless shelter open 24 hours a day in downtown, the city of Spokane and Catholic Charities agree that something needs to change — for those seeking shelter, for the good of the neighborhood and for the sustainability of services. The House of Charity started keeping its doors open all day and offering sleeping space to both men and women, regardless of sobriety, in 2017. Since then, it's seen a major increase in the number of people staying there, along with an increase in the number of people hanging around or camping nearby. That's putting pressure on the staff and patrons at the facility, and attracting some predatory behavior aimed at the vulnerable population, says Nadine Van Stone, vice president of crisis response and shelters for Catholic Charities. "Gradually, over time, what's happened is it's just more and more people are there, and more and more people are being asked to go there as camps are being broken up or people are hanging out on the street," Van Stone says. The Spokane City Council recently agreed to provide more police patrols in the area of the shelter, which sits on the corner of Pacific Avenue and Browne Street, to decrease crime and have officers nearby to respond to incidents, which Van Stone says has been helpful for the shelter and for neighbors. "Unfortunately, with that concentration of people and the folks that are there, some of them are very vulnerable because of their mental health or their addiction," Van Stone says. "The police are really helping us with the people who come in and prey on them: the drug dealers, people who want to steal from them or assault people for the little belongings or money they have." The facility provides services to close to 400 people a day at times, and sleeping space for more than 220 men and women on an average night in a building that had previously provided beds to about 100 men per night. With the added pressures, House of Charity has had to hire additional staff and security, and it appears that current funding may not support those levels: The agency told the city this summer it could need another $500,000 in order to keep the doors open all day every day through the end of the year. It's not the first time funding the 24/7 shelter has been an issue: The first pilot of the 24/7 model lasted from January 2017 to May 2017, when Catholic Charities said it needed more money to keep the shelter open under that new model. Short of other jurisdictions stepping in to help pay for that, the nonprofit stopped offering those services, returning to the former number of beds offered, until the city of Spokane dug into reserves to provide $510,000 for the extra need. That was coupled with a $173,000 donation from Providence Health Care and a promise from the city to increase funding again in 2018, and hours were again expanded to 24/7 in July 2017. Dawn Kinder, head of the Neighborhood and Business Services division. "What happened was, we all went into the model thinking, 'Oh, it's going to look like this,' then it turned out that there was a lot more to it than I think any of us had considered," Van Stone says. "We now know what it takes for us to do it in a safe, healthy way, and that does require more staff and security. That's part of the conversation with the city, 'What do you want this to look like? Here's what we want it to look like.'" 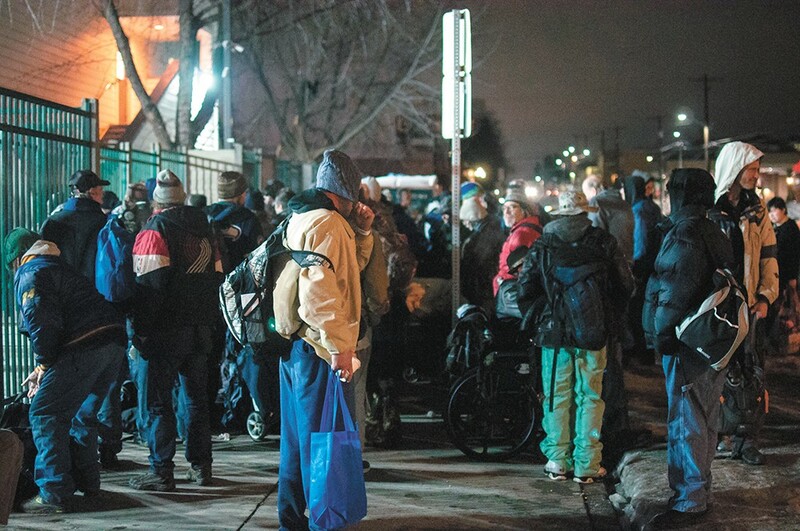 Now, rather than simply finding more funding for that space, the city is exploring other options and bumping up plans to find a location for a second shelter that could serve people outside of downtown, says Dawn Kinder, director of Spokane's Neighborhood and Business Services department. "It was determined a smarter investment would be to decentralize and look for a different shelter site, based on what we know is a dignified approach to serving individuals," Kinder says. "House of Charity has done what we asked: provide staffing to manage a capacity of 300, but it's clear to everyone it's not a very safe solution, and it's certainly not a very dignified solution for the people they're serving." So the city is weighing options for another shelter that might open before the cold weather kicks in, Kinder says. "We have had conversations about what that might look like, but no definitive plan has been committed to in terms of where a second shelter might be, or a firm timeline," Kinder says. "The only thing we know is the second shelter will be outside the downtown core." 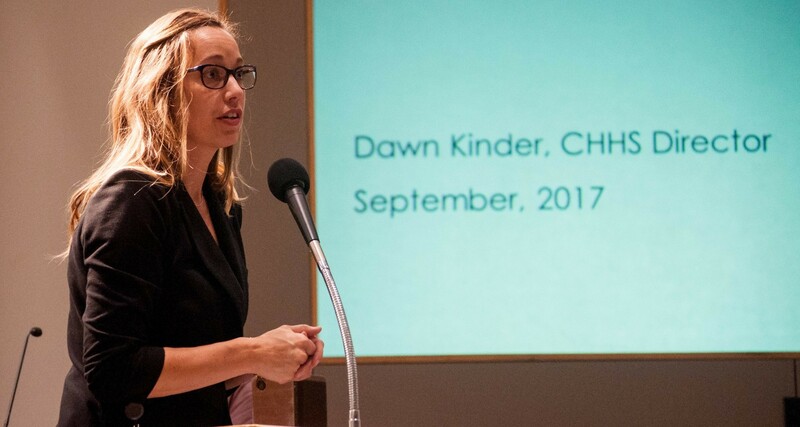 Plans for a second shelter similar to House of Charity had already been in the works, but the city hadn't planned on really ramping up those efforts until switching how it funds nonprofits in July 2019, Kinder says. By that point, contracts with the city that are currently offered to agencies on a yearly basis will switch to a five-year time frame, making for more stable financial planning for service agencies and allowing less time to be spent on applications. With House of Charity sleeping up to about 300 people per night at times, the city would like to cut that number in half by opening a second option, Kinder says. Ideally, it would be no more than a 15-minute bus ride to downtown, where many services are located. Ryan Oelrich, executive director of Priority Spokane and former chair of the Spokane Homeless Coalition, has visited more than 60 shelters around the country over the past four years as part of his work looking at how best to address homelessness. He thinks there could be some promise in a new shelter in another part of town. "I think if we really want to get ahead of this issue, an additional location is great," Oelrich says. "Looking at best practices, obviously having those locations within the vicinity of appropriate services, things like mental health and housing, is important, because these are populations that don't have easy access to transportation." But there are examples in other communities, such as Salt Lake City, where shelters and services have been spread throughout the city more, in a somewhat strategic way, he says. "Neighborhoods can better help bear that burden and create what I call a positive peer pressure, to provide good influences on those who are struggling," he says. "I think that's a good goal." However, Oelrich says it is worth looking at where the best investments can be made to truly have an impact on reducing homelessness. With Priority Spokane, the focus has been on how to prevent homelessness in the first place, he says, especially by stabilizing homeless children and those at risk of becoming homeless. 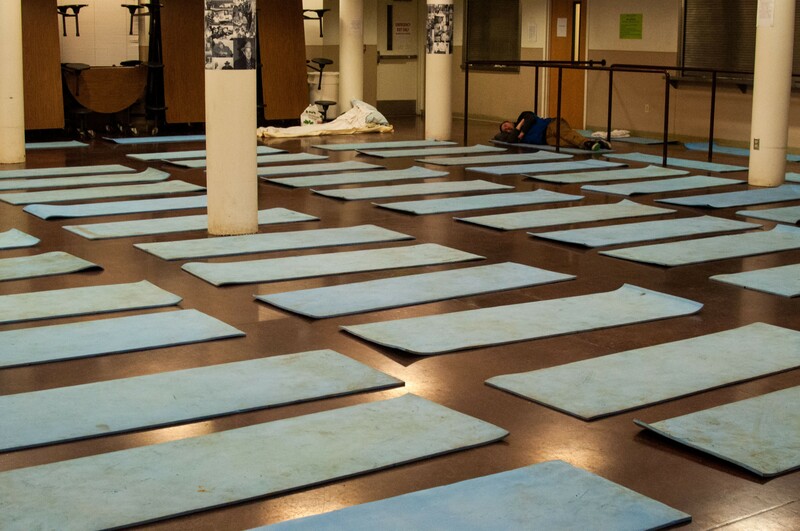 Mats for sleeping inside the House of Charity. "We're asking, 'Is what we're doing really addressing the issue, or are we putting a Band-Aid on a gaping flesh wound?'" Oelrich says. "I just look at the amount of resources it takes to stabilize a homeless child and their family versus the resources it takes to turn a life around when somebody has been homeless and on the streets for years: There's no comparison. It's way easier to stabilize that kiddo." Still, the city and Catholic Charities are trying to offer some help to those who are chronically homeless, as well as those who just need a temporary place to stay, and House of Charity sees a mix. In 2017, the shelter provided a place to sleep to 935 different women and 3,077 different men. And while the city works on other solutions, Catholic Charities has beefed up efforts to address current issues in the neighborhood, Van Stone says. Janitorial staff sweep the neighborhood for garbage several times a day, and they have provided a 24/7 phone number to businesses in the area, who can call if they are having issues with someone hanging out or sleeping on their property or need trash cleaned up. The shelter has also started work on a new covered area next to the building, which will allow smokers to hang out off the sidewalk, far enough away from the entrance to meet state smoking regulations. The original print version of this article was headlined "Sharing the Burden"